Mark and I love fresh sardines. Grilled with lemon and garlic, stuffed, or adding to a pasta dish are some favorite preparations. When we make them, we reach for our favorite pairing, a Spanish Rosado. Sardines are more popular now and when in season, you can sometimes spot them at US fish markets. Here in Bordeaux they’re abundant, as well as in Spain. Smoked preserved sardines are common in Spain, as well as Portugal, Turkey and many other places around the world. If you get them fresh from your fish monger, ask for them to be gutted and cleaned. To the left, sardines from one of the fish purveyors in the Les Capucins market in Bordeaux. We just returned from Spain where indulging in sardines was mandatory. And in doing so we had a great laugh remembering our first sardine experience. Their short season started July 1st so I thought I’d humor you with our faux pas and leave a recipe. Summer and sardines just go together, especially if you have a grill! Mark and I arrived at the Barcelona flat at 5:00 p.m. Showering unveiled a second wind and off we went into the streets crawling with people. Our quest? Locate a tapas bar from which we’d kick off our one-month food, wine and hiking adventure in northern Spain. “BA2” was off to a good start. Hunger pangs took over in front a tapas bar in the Barri Gotic (gothic quarter). Finding a perfect table outside, we started with my craving: Boquerones en Vinagre (silver backed anchovies cured in vinegar then drizzled with olive oil) and an order of tomato bread. With two glasses of Rosado (Spanish dry rose), we were settling in comfortably. Slices of grilled or toasted bread are vigorously rubbed with garlic and a halved tomato then finished with a drizzle of olive oil. 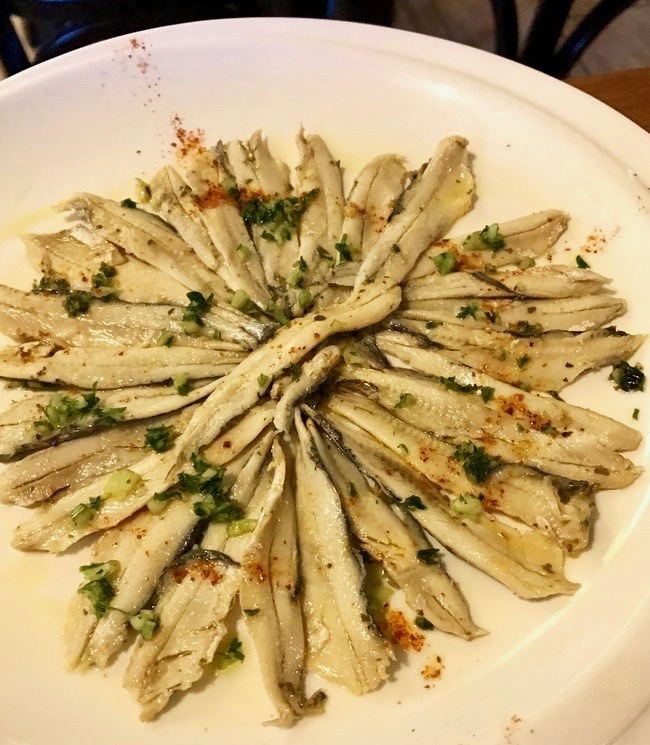 The waiter suggested we try Boquerones Rebozados. With this dish, anchovies are butterflied, lightly coated in breadcrumbs then fried. They served it over Piperade- wow! 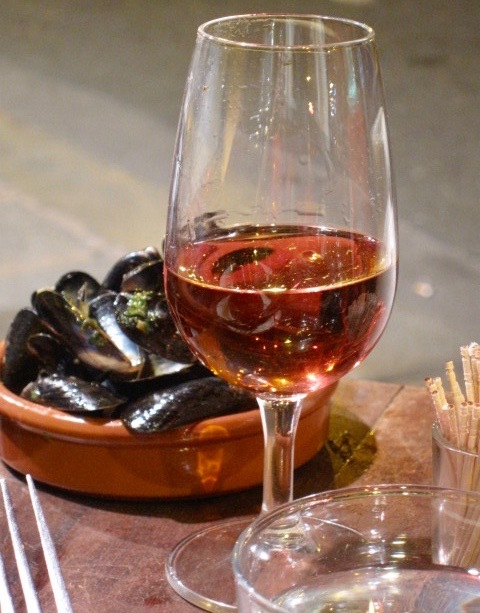 Another round of Rosados required, accompanied by a small gift of mussels. Our final tapa arrived – Sardinas a la Plancha con Perejil (grilled sardines with parsley). Previously, we’d only enjoyed sardines from a can. Neither Mark nor I had seen them fresh which as those who eat them know, are much bigger. And they were a plate load! The hubby asked “How do you eat these?” Our short discussion went like this after being up for 36 hours and several glasses of wine later. Surprise! What a mess. Looking sheepishly at an adjacent table we discovered you cut them in half and pull the main spine bone out. A perfect tourista moment. I hope anyone not familiar with fresh sardines isn’t scared away! They’re quite tasty and pair nicely with various white and rosé wines. An added bonus – they’re high in omega 3 fatty acids. Here’s an easy, tasty recipe that can be altered to suit your taste. Grilled or pan-seared sardines are not only tasty, they're a healthier fish choice high in Omegas and pair seamlessly with Spanish Rosado. Combine the garlic, lemon zest and juice, olive oil, parsley, mint, and paprika; mix to combine. 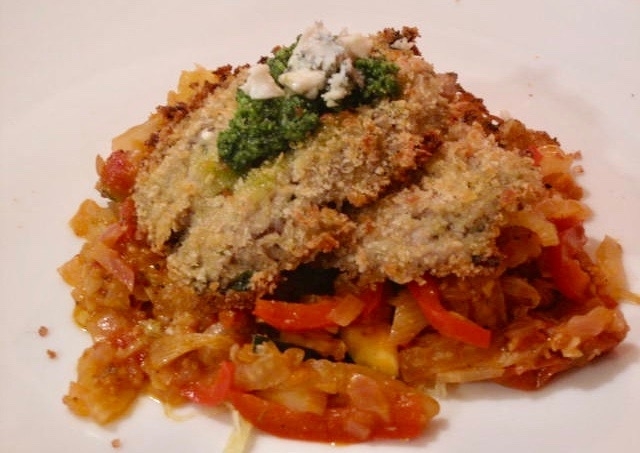 If using breadcrumbs and Parmesan, mix them in. The mixture should be moist, not too dry or wet. Taste and add additional olive oil and/or lemon juice as desired, and to obtain consistency. 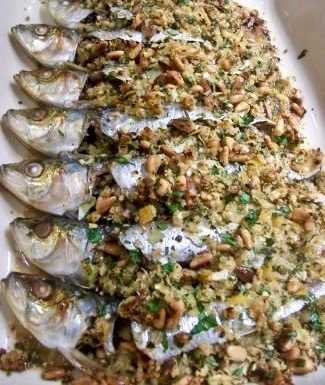 Stuff each sardine with a heaping tablespoon of gremolata, making sure to not over fill. Close each and secure with a few toothpicks. Alternatively, if grilling you can wrap them individually in foil. If pan searing: Add about a tablespoon of oil to a pan and heat over medium-high. When warm, add sardines (they should sizzle slightly) being careful not to crowd. You may have to cook them in two batches. Sear the first side about 3-5 minutes. Flip and do the same to the second side to crispy golden brown. Serve immediately with roasted baby potatoes, your favorite grilled vegetables, a mixed green salad, or anything that works for you! Remember to serve with a glass of chilled Spanish Rosado! 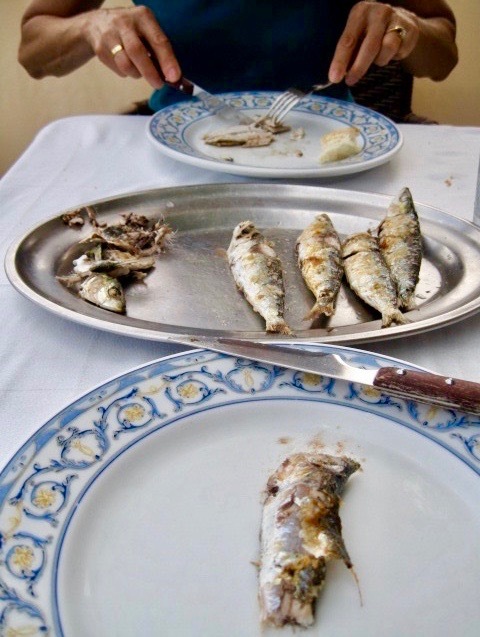 You’ve hit upon my most favorite food and wine experience: rosado and sardinas a la plancha, served at a seaside restaurant! 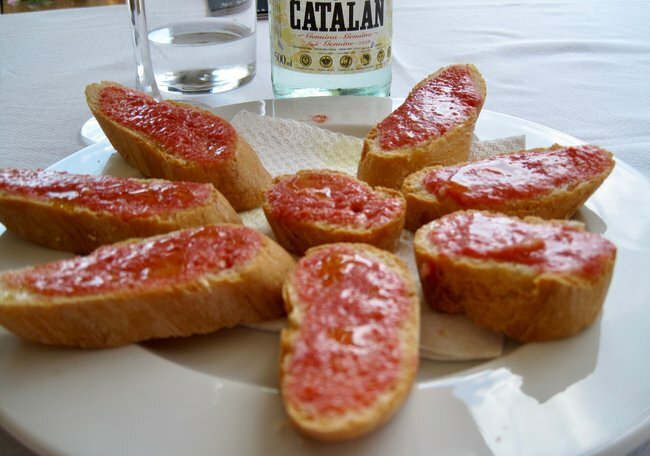 During my first trip to Spain in 2007 I ate this almost every day, with a classmate, and never tired of it. Always reminds me of one of the best times of my life. Cheers Lynn! Thanks for sharing your great memory Lauren! Nice to hear someone else who enjoys then as much as we do.